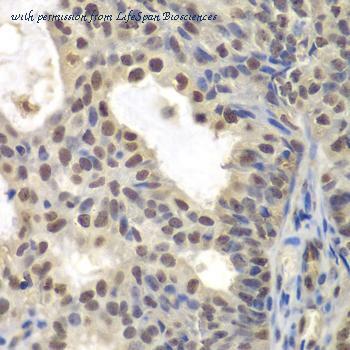 Immunohistochemistry of paraffin-embedded human oophoroma tissue. Western blot analysis of CENPC1 in Jurkat cell line lysates using 35ug per lane of antibody. 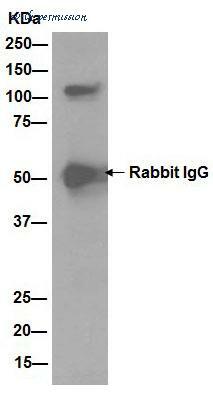 The CENPC antibody from Proteintech is a rabbit polyclonal antibody to a recombinant protein of human CENPC. This antibody recognizes human, mouse antigen. 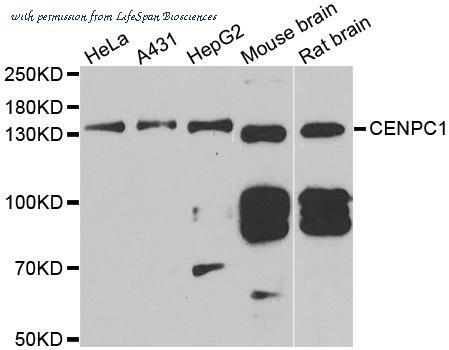 The CENPC antibody has been validated for the following applications: ELISA, WB, IF analysis. 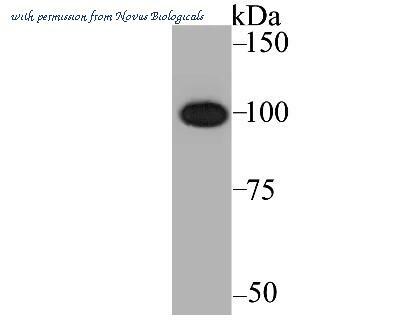 Western Blot: CENPC Antibody (JG36-15) [NBP2-75438] - Analysis of CENPC on K562 cell lysate using anti-CENPC antibody at 1/1,000 dilution.